Lumbini Elite is a Technology and Management consulting firm with focus on Technology strategies, Technology solutions and Project and Program management services. Lumbini Elite has very deep competencies in SAP products & Technologies and has the expertise to unlock problems and find solutions. Lumbini Elite offers a wide range of relevant solutions to enable business transformations across industries. Lumbini Elite is a Software Solution Provider with focus in the areas of Analytics, CRM & Mobility. The company is handling Product Developments in the area of Mobile Applications, Analytics as well as products development using SAP new Technologies like HTML5, UI5 and JQuery etc. Lumbini Elite is a young vibrant company, whose activities lies in diverse areas within the broader realms of Information Technology.The professionals behind the venture are from top engineering colleges in India and have successful track record at senior positions with major multinational companies. The Lumbini Elite Guarantee – Nothing comes before the Client Satisfaction. To provide the best value IT solutions globally to our clients with quality, integrity, reliability and responsiveness Values: We believe that "Service" and a "Service Attitude" to customers form the basis of the business. We have a passion for Excellence with the highest standards of "Service". 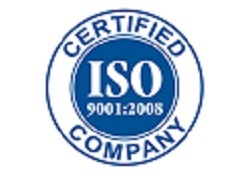 Our vision is to be recognized as a world class SAP solution provider organization. We want the world to realize that whether it is technology,consulting,Maintainience or design & development, we have what it takes to help organizations cover the last mile. We couldn’t have reached where we are today without an unwavering focus on our target, and clarity regarding the means, to reach that target. We value ambition, but sincerity even more so. We treasure talent, but honesty even more so. We applaud ingenuity, but integrity even more so. At Lumbini Elite, meritocracy wins hands down.